Guacamole, a Mexican dish consists primarily mashed avocado. A small amount of seasonings such as lemon juice, chili powder, onion, tomatoes and cilantro are often added to enhance the flavor. 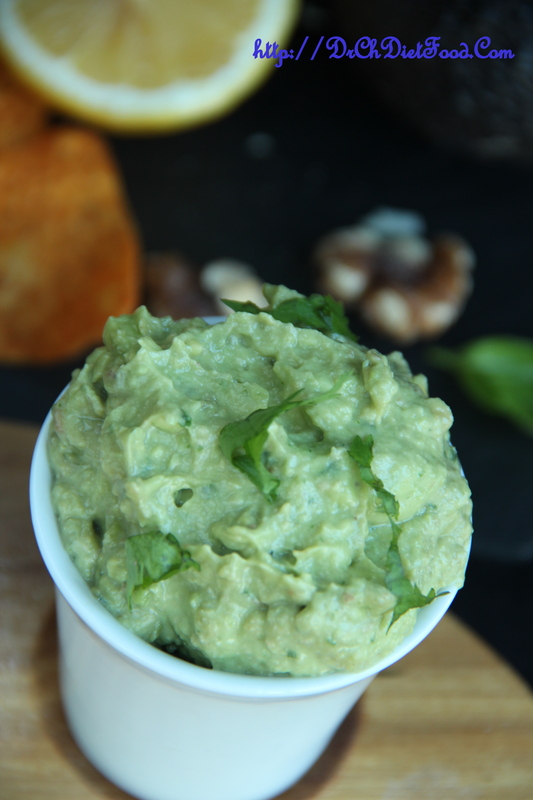 For extra nutty taste I included walnut in this dip as a variation. You can use guacamole as a dip, topping or as a side dish. This is commonly served with tortilla chips in Mexican restaurants. This can also be used as a dip for salad vegetables rather than chips which lowers the calorie intake. Avocados and therefore guacamole provide a good source of energy and fat. How ever the fat present is healthy unsaturated fat, which is a type of fat beneficial to your health. As this fat digest slowly, it keeps you full for longer. this factor aids in weight loss when eaten in moderation. Remove avocado flesh from the skin by cutting it in half, remove the seeds and scoop out the flesh. Combine avocado, tomato, lemon juice, walnuts, garlic cloves, salt, chilies in the food processor, process until smooth. Once processed transfer to the serving bowl , garnish with herbs and serve as a spread/dip. 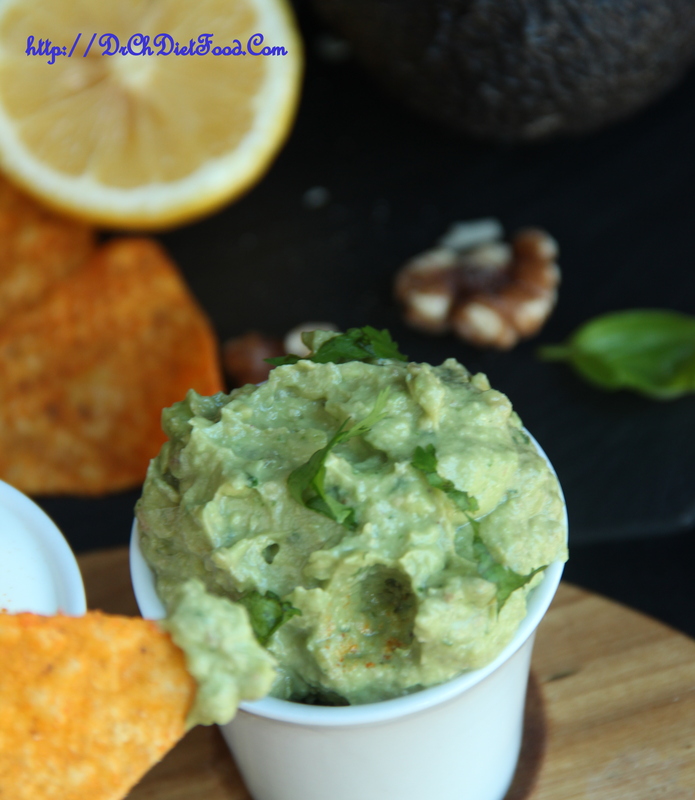 Posted on May 30, 2015, in Dips, Indian, International and tagged Avocado dip, Avocado healthy recipes, Avocado walnut dip, Chitras healthy kitchen, drchdietfood, Guacamole healthy dip, Walnut dip. Bookmark the permalink. 25 Comments. I do like your presentation. Thanks for the thought you put into it. So pleased to hear such a feedback. Thank you…Nice to meet you..
Sophie – Can’t ask for more….2 recipes in a day tried and tested…Really very very happy..feel blessed…. Love guacamole but never thought of adding walnuts. Sounds interesting and tasty! I will have to try this variation. Thanks for the idea. Thanx a lot for stopping by and encouraging with your lovely words. … good day.. 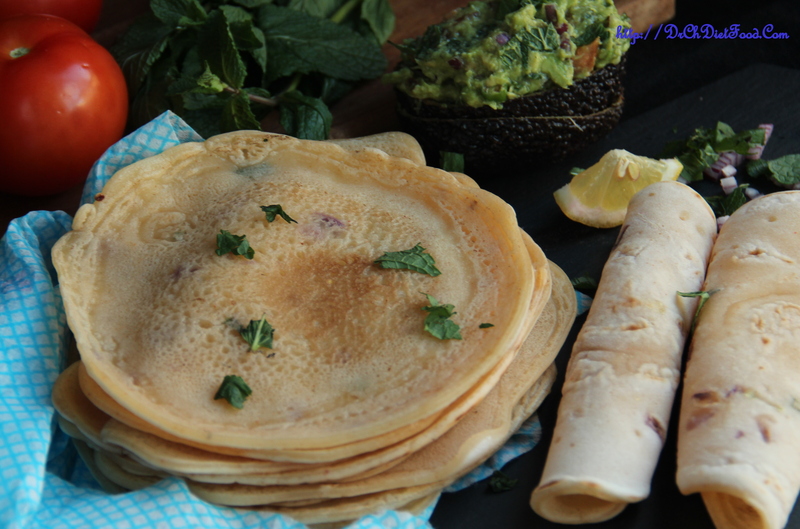 Thank you Natalie for stopping by and encouraging me with your lovely feedback….. good day …..
What a delicious and healthy idea, Chitra!